(a little history of…) Grande Amore… We never get tired of listening to it. On December 16, 2016, this article was published on Zon.it, by Antonella Esposito. Although it has been a while of time, I (Daniela) will translate it for you because it is worth reading. After the first listening to GRANDE AMORE, did the song really like you and did join your favorite playlist? Are you still irremediably attracted to the melody and lyrics of the song? That’s why GRANDE AMORE of IL VOLO does not tire you. Grande Amore is the winning song of the 65th edition of the Sanremo Festival, interpreted by the trio opera lirico Il Volo. Although it seems to have been written specifically to brush the powerful and versatile voices of Piero, Ignazio and Gianluca, the piece had a tough road before cutting the finish line “Il Volo”. Composed in 2003, by Francesco Boccia, songwriter and frontman of the music band I Quisisona, together with Tommy Esposito of Il Giardino dei Semplici, the romantic piece already having a precise layout designed for lyric lyricals, is presented at the selections of the Festival of the Italian Song, in 2005, with a negative result. So it remains to dust in the drawer for 10 years. It is in fact 2015 when the song is enthusiastically evaluated by the commission of Sanremo Young and assigned to the duo Operapop. Even then, fate is a strange joke, because the duo is excluded from the competition for the age limit reached by one of the two components, Enrico Giovagnoli. Grande Amore is also offered to Orietta Berti, who proves to be favorable to the song but she is, however, unable to participate in the singing contest for personal reasons. Once again, bounced back and without interpreting the fate of the piece, it is entrusted to the hands of the artistic director Carlo Conti. At his first conducting of the Festival, using the help of the Operapop manager, convinces the producer of Il Volo, Michele Torpedine, to compete for the three young singers with the signed song Boccia-Esposito. 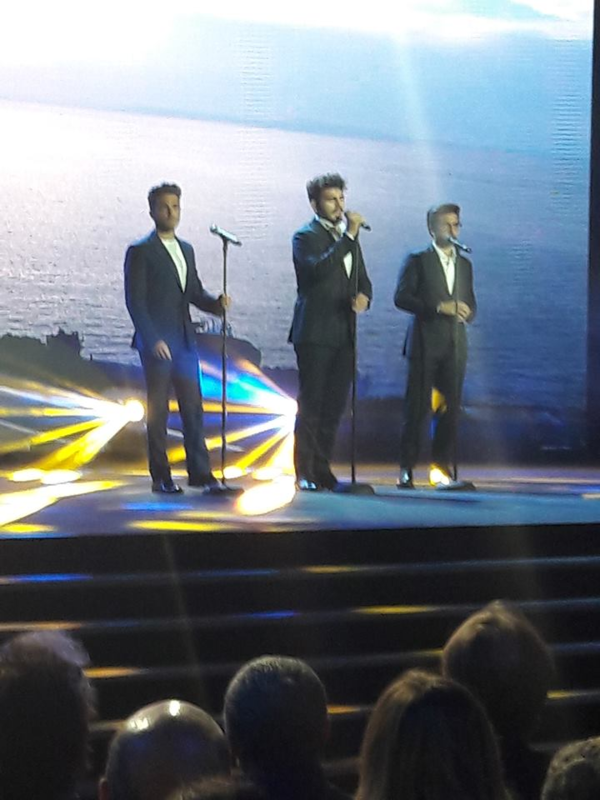 It’s the evening of 11th February, 2015, when IL VOLO sing for the first time, Grande Amore, in the slaps of applause from the Sanremo audience. The three different and perfectly complementary voices of the three singers, enter the heart and fill the audience’s eyes in the theater and viewers who are following the kermesse (festival) in the world. Grande Amore. For some it’s a discovery, for others it’s a confirmation. The elegance of the guys of Il Volo, the stage presence with which they saturate with energy each single tile on the stage of the Ariston, and the dramatic might with which the three young singers sing the love all or almost conquer. Great love strikes, likes and creeps in the head with a basically simple and essential text and for this easy to memorize. The plain strode opens with the term “love” which in a vibrant and prolonged acute spreads the basis for the beginning of the refrain. And here comes the engaging redundant melody that never touches the nenia, by the way, draws a rhythmic curvature cleverly caressed first by the baritone basses of Ginoble and then raised by the strong and precise setting of Boschetto and then exploding with Barone in a Love screaming to all generations. It is therefore a universal love that sang by IL VOLO declinable in all the nuances of loving sentiment, not by chance as revealed by the same authors: “The text is not inspired by a specific person, but it is a story always valid as it may be love declaration”. Musicality, universality and pop-lyrical contamination are probably the key elements to place with a certain conviction the classical lyric passage for the song’s story. Grande Amore with an extraordinary rapidity of diffusion not only musical but cultural has already been able to fully fit within that pink of international pieces representing Italianity. Grande Amore has all the characteristics of symphonic sweetness needed to become the Caruso of the new millennium. It has that rhythmic and flamboyant stylistic cadence so that it can be sung by the middle world as has always been the case with O ‘sole mio. It seems despicable and yet between different artists the song would not get the same feedback or maybe yes, but this is another story. 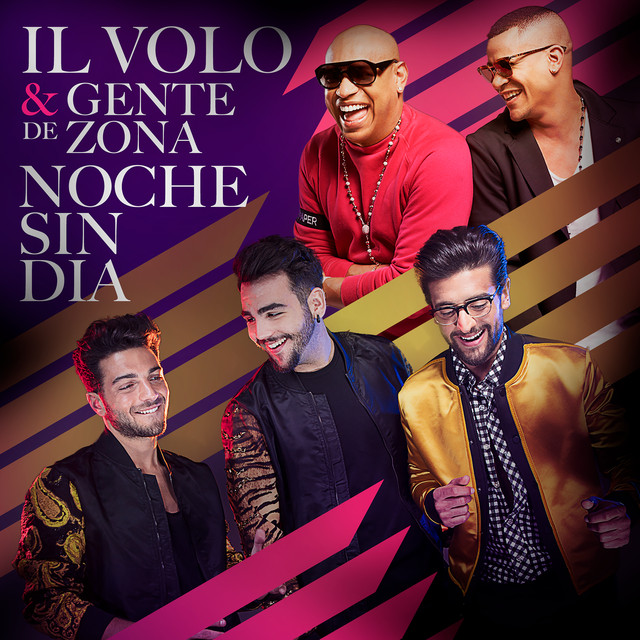 The truth is that each song chooses its own interpreter and Grande Amore was born and struggled to end in the repertoire of Il Volo, altering in a shocking way the same artistic path of Piero, Ignazio and Gianluca who so much to the song that made him disconnect the ticket to success in Italy. Not that the three were not good enough, just as often happens the masterpieces make a difference and Grande Amore is without too much delay the diamond tip that has given the group the gender specificity that has always been sought after. These are the technical reasons why listening to Grande Amore does not tire and will not even tire in twenty or thirty years. Stylish stylistic lists that are merely fine to themselves, which, because the longevity parable is valid over time, then add other elements with the most irrational flavor. These are the emotional ones, those you can not explain and that with a song almost invite you to listen to it and listen to it again and again. Article translated by Daniela. Credit to all owners of photos and video. The Eurovision Song Contest is becoming more and more popular in Italy since their comeback to the competition in 2011. That’s why the 2016 Final will be shown live in RAI 1, their public broadcaster’s main channel. It is also announced now that, just like this year, the winning artist of the “CAMPIONI” section will have the right to participate representing Italy at the 2016 Eurovision Song Contest. The “CAMPIONI” section is the “established artists” category of the Sanremo contest. So basically this means that it’s up to the winning artist to decide about the Eurovision participation and also about the song to be performed in Stockholm. 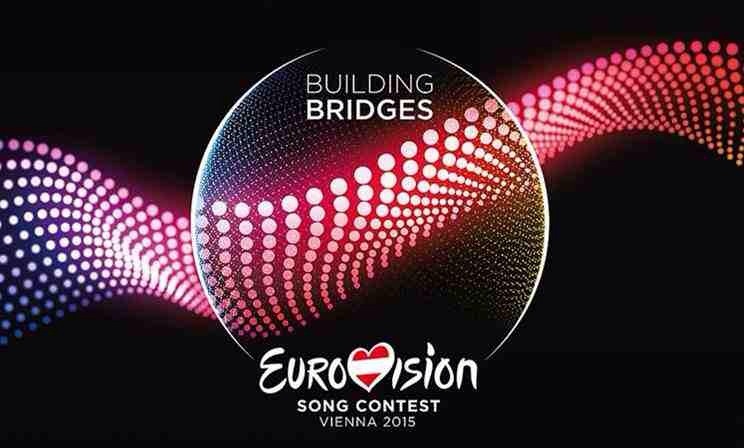 It’s all things Eurovision for the next little while! Thanks to Gina and Mary (who Marie has already told you is good at snooping out the latest stuff…), they are helping me keep up. Let me say right now how much I’m going to appreciate them. They are able to do what I wish I could do: watch the updates on this competition full time. 🙂 So ladies, know how much I appreciate your work on this! To refresh all of our memories on the rules and give you as many tools as possible — to date — to keep up, read on! Countdown Clock/Red Carpet on YouTube ~~ Thanks, Marie! Il Volo’s Schedule ~~ Rock Me Il Volo; Thanks, Gina! Watch on WebTV ~~ Thanks, Mary! Mary has provided this link from the Eurovision Website, and believes you should be able to watch a lot of the goings on from various online devices. 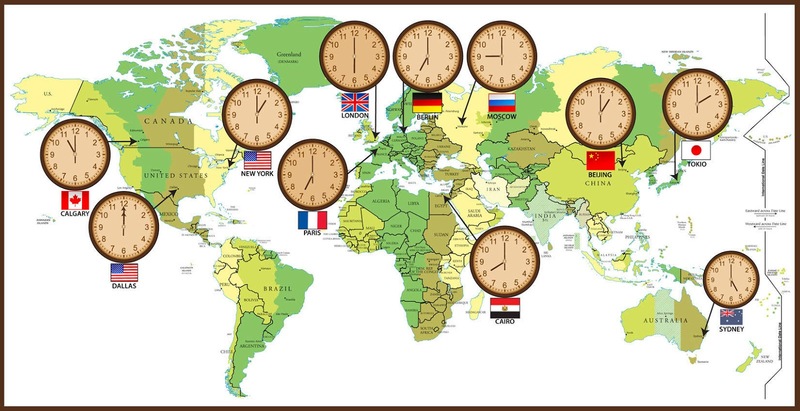 She’s also provided the correct, real time in Vienna so you can work out the time difference for yourself. The Rules ~~ Eurovision.tv; Thanks, Gina! How do national selections work? The national selections for the Eurovision Song Contest are being organized by the participating national public broadcasters. Traditionally, in March, participating broadcasters have to come up with their entry for the upcoming Eurovision Song Contest. The EBU, main organizer of the Eurovision Song Contest, is not involved with the national selections. The EBU only requires the national selections to be fair and transparent. The national selections start already very soon after the previous Eurovision Song Contest. To get a full overview and put the dates down in your calendar, see the timetable in our calendar! Viewers in the countries of the Participating Broadcasters are invited to vote for their favorite songs (without the possibility of voting for the song representing their own country) by means of televoting. In addition, in each participating country, there is a National Jury. With respect to the televoting, the song which has received the highest number of votes shall be ranked first, the song which has received the second highest number of votes shall be ranked second and so on until the last song. With respect to the National Jury voting, the jury members shall rank first their favorite song, second, their second favorite song, third, their third favorite song, and so on until their least favorite song, which shall be ranked last. The rankings of the televoting and the jury will then, in each of the participating countries, used to calculate the average rank of each song. This combined ranking will then be transformed to the well-known and popular “Eurovision system”, with the top-ranked song getting 12 points, the second-highest ranked song 10 points, and the remaining spots, from 8 points to 1 point, given to the songs ranked 3 to 10. Viewers at home and professional juries each determine half of the outcome of the two Semi-Finals of the Eurovision Song Contest. In each Semi-Final, 10 contestants qualify for the Final. The full score board will be made available shortly after the Final on Eurovision.tv, to keep the excitement until the end of the Final. Based on the combined full ranking of all songs of televoting and jury voting, each country will distribute 1 to 8, 10 and 12 points; The combined results of jury voting and televoting will be presented on air during the Final by spokespersons in all participating countries. As usual, the points 1 to 7 will appear on screen. The spokesperson will then reveal 8, 10 and 12 points. The full result, including the televoting and the jury result in every participating country will be published on Eurovision.tv after the Grand Finale. By judging each song each jury member will focus on the vocal capacity of the artist(s), the performance on stage, the composition and originality of the song, and the overall impression by the act. To increase diversity, music industry professionals can only take a seat in a national jury if they have not been in the jury during one of the previous two editions of the contest. The EBU looks into each jury member together with Digame and PwC, to assure they meet the requirements to take seat in a national jury. Members shall not have been part of a National Jury the preceding two years. There shall be a balance among the members of each National Jury to ensure sufficient representativeness in terms of gender, age and background. All members of the National Juries shall be citizens of the country they represent. Judges signed a declaration stating they will vote independently. The Germany-based company, digame mobile GmbH, has been the EBU’s long-term voting partner since 2004. The company gathers all televotes and jury votes in all countries and is being closely monitored by two independent PwC observers. Its systems are build to handle all incoming votes according to the Rules of the Eurovision Song Contest, and can detect and exclude systematic bulk votes (also referred to as ‘power-voting’). Have you ever wanted to take part in the world’s biggest entertainment event – the Eurovision Song Contest? Here you can find out exactly how to pursue that dream! First of all, all the entries and singers are picked by the Participating Broadcasters. These are the Members of the EBU that take part in the Eurovision Song Contest. Why? Because at the Eurovision Song Contest, not countries but broadcasters take part in. For example, in the UK this is the BBC, in Germany it’s NDR, in Sweden it is SVT and so on. The organisers of the Eurovision Song Contest cannot pick any entries but only make sure all entries and performances are according to the Rules. This all means that you need to contact the broadcasters if you want to have information on how to take part in the contest. IMPORTANT: Contact List of the Heads of Delegations at the Broadcasters (PDF). How do they pick the entries? Each Participating Broadcaster has a right to choose their entry in the format they choose. This means that in some cases, the entries are picked internally, in some the artist or the song are picked by the broadcaster while the public in that country decided on the eventual representative. In the majority of the cases, though, both the song and the performers are picked for a show called a national selection. There, the decision is usually up to the viewers and/or a jury. It is important to also know that only some broadcasters accept foreign authors. IMPORTANT: Follow the dates in each of the countries through their websites or any other communication channels. 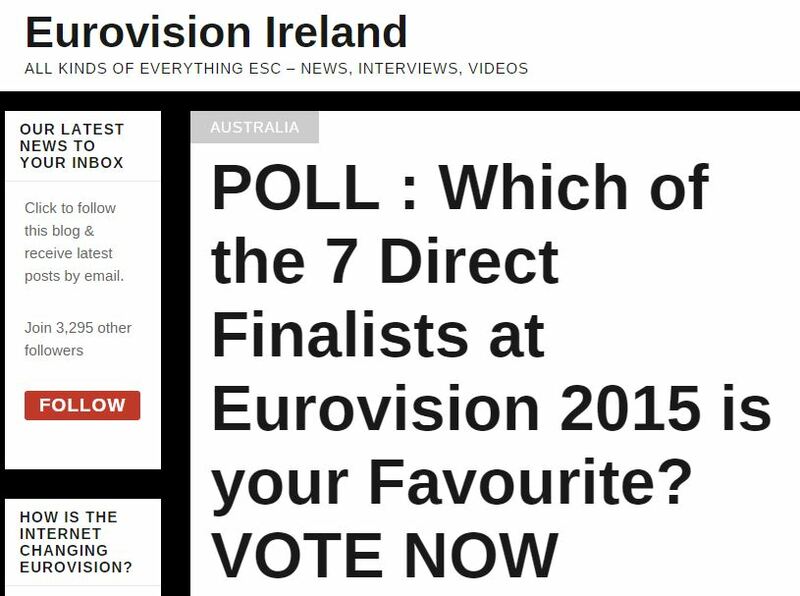 Also, you can often get the deadlines and conditions right here, on Eurovision.tv. You can contact the Heads of Delegations – the people responsible at the broadcaster’s side for the Eurovision Song Contest – for information on their selection method. As said before, the organisers of the Eurovision Song Contest do not choose any of the entries. We urge you to contact the delegations. What basic rules does my entry have to follow? As is the case at every contest, there are rules to be followed. The Eurovision Song Contest is not an exception in this. If you want to find out more about the rules, please check it on our Rules page. VIDEOS: All media is welcome to embed videos from the official YouTube channel. You are allowed to use up to 30 seconds of each video and a total of 2 minutes in your own video reports. PHOTOS: You can also use the Press Photos in your publications. Please credit EUROVISION/EBU and the photographer. Any broadcaster which does not hold any audiovisual media rights shall be granted, upon request to the EBU, except where national law or regulation provides otherwise, a total of two minutes’ news access from each of the three Shows, free of charge for use in regularly- scheduled general news bulletins broadcast within 24 hours of the Semi-Finals and the Final respectively. The usage of the logo and the theme art of the Eurovision Song Contest is allowed for the EBU, the Participating Broadcasters and the Sponsors. Media can use them only for media reporting purposes. No commercial use is allowed. By using your accreditation at the Eurovision Song Contest, you accept the terms laid out in the Code of Conduct. Please understand that all use of any wireless equipment is unfortunately strictly forbidden at the venue and may result in a loss of accreditation rights. “Marie, this is another poll that is out and I don’t think many know about it because they are 4th in this one (3/21), behind some unknowns. It would be good if you could get it on your site and let more people keep voting (in this one you can keep voting, except you have to sign out then sign in again each time). As of this posting, Italy is ahead in both polls! She found another! This one from Sweden! Lots of things to look at here including odds. Happy Voting Ilvolovers! 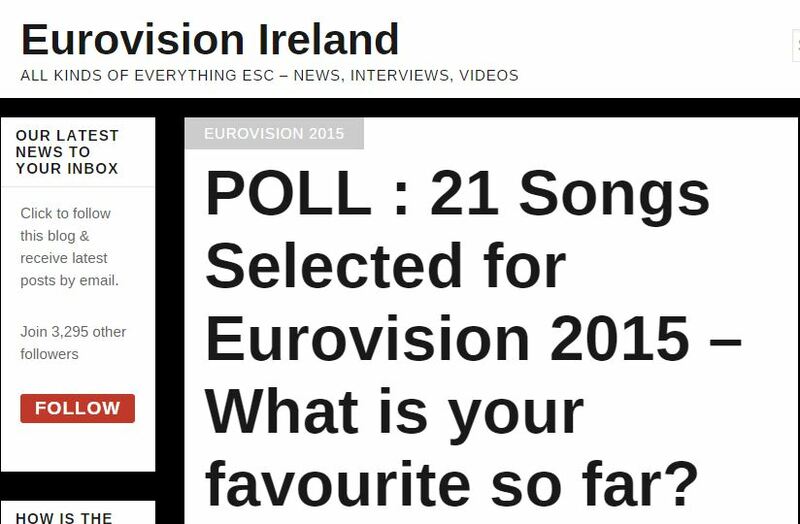 http://eurovisionworld.com/?odds=eurovision_2015 Marie, this is another site that was shared on my closed site. It is a one only vote, and in this poll Sweden (of all people) is first with 351 votes and Il Volo 2nd with 336 votes. we need to get in first position in this, but remember there is only 1 vote per person so we need a lot of people to cast one vote, we cannot do multiple votes.